Not too long ago, I was approached by a wonderful lady, Betty Boylan Worlan who asked if I wanted to review Tarot material published by Paradise Musc Ltd. in the format of a teaching cd named “Tarot Workshop.” I was a bit intrigued after speaking with her and couldn’t wait to listen to it. 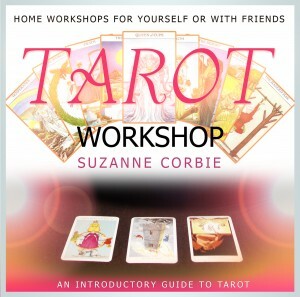 This cd is a home workshop for personal or group sessions in which Tarot is introduced in easy to understand language and narrated by a student of pagan and spiritual traditions for over 30 years, Suzanne Corbie. 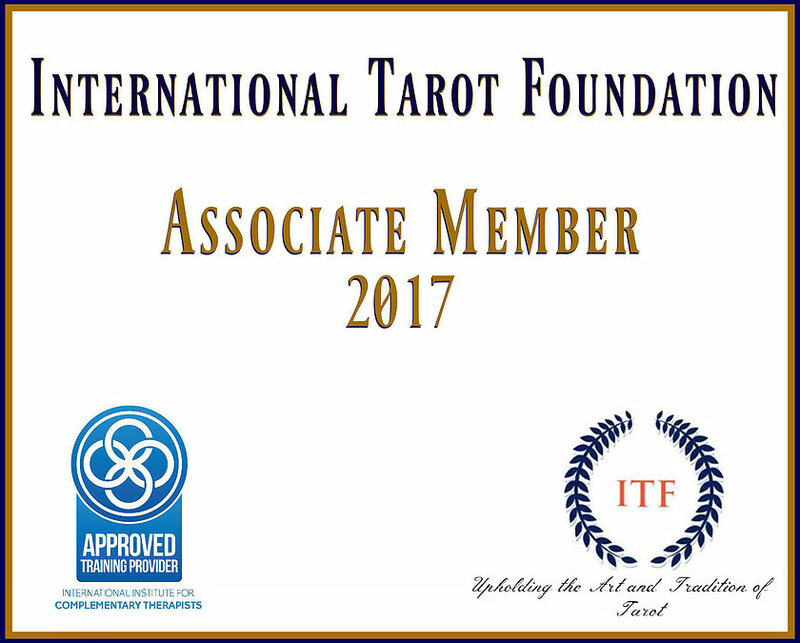 Having read and studied tarot and teaching for the last seven years, Suzanne regularly teaches classes and workshops around the country and even held sacred theater of Tarot workshops where the participants act out the cards themselves in order to gain deeper insight into situations and understanding of each and every card. This is a two disc cd that starts out with an introduction by Suzanne who explains the purpose of this cd and speaks a bit on the topic of learning Tarot. She encourages the listener(s) to sit back, relax and let your intuition guide you as you listen and follow along with her. The meanings are geared to The Rider-Waite tradition but also can be used with any of the Rider-Waite clones, my favorite deck as of late is The Anna K. Tarot which closely follows this style but tastefully does not carry an over abundance of symbols and items within it’s cards, which makes for an easier read. I would recommend, that for beginners, the Universal Waite or Radiant Rider-Waite be used at first until one becomes familiar with the basic meanings then after grasping Tarot’s concepts, one can find a deck that may suit them better. After the introduction, Suzanne starts with the Major Arcana and keywords plus a mini journey into each card, all the while keeping in mind to listen to that little inner voice as you envision what scene is taking place within that given card. I love this idea of taking a journey into the cards because it allows one to notice things that may not have been noticed by memorizing just the basic keywords. The beautiful part is that this teaching method takes away all of the fear out of taking up Tarot and Suzanne’s easy going style and voice is calm and soothing so that as the cards are introduced, one does not feel totally overwhelmed by learning all those meanings…without that pressure, learning becomes a breeze! The Tarot Workshop comes with a booklet that lists the Major Arcana keywords, descriptions of the four elements in the Tarot and how they interact as well as The Celtic Cross Spread. The second cd goes into the Minor Arcana and describes the four suits that we see that make up the Minors…Swords, Wands, Cups and Pentacles. I love the way Suzanne introduces these cards and how one can identify areas in ones life described in the stories found in the cards. This is an Awesome cd and a fantastic resource for any teacher, individual or group of friends that wish to study Tarot and all of the ways that it can be used in life. I absolutely recommend it to anyone from beginner to seasoned professional alike! Great review! This looks to be an awesome product! I bought this a few years ago, and must say it is a brilliant way to be introduced to Tarot. Suzanne’s style and voice are perfect and the meditation at the end is superb, along with the beautiful music. Well worth purchasing whether beginner or advanced. Thanks Liz! Glad you enjoyed it. Suzanne is a very talented artist and I will share with her your review!